Here’s a little bonus fig recipe. 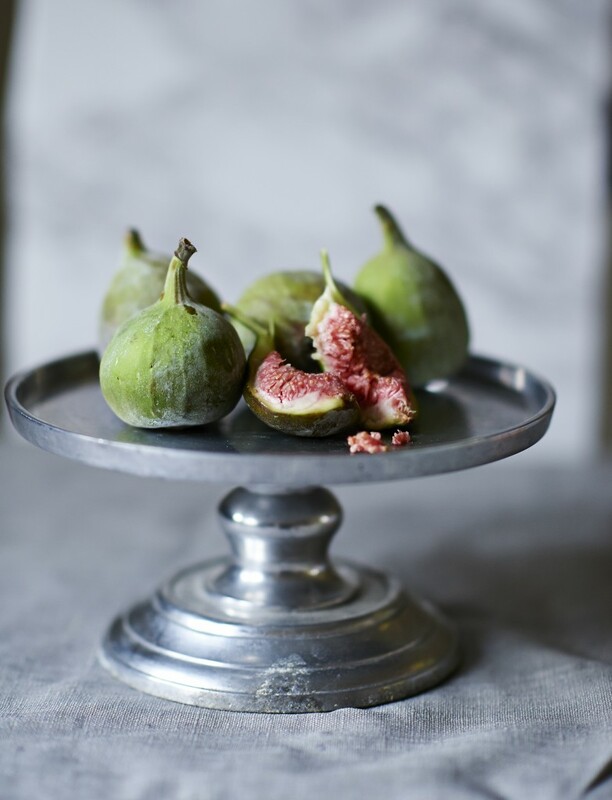 These beautiful photos are by Faith Mason, who took them quite some time ago now and I’ve just been waiting until figs came back into season to post them. 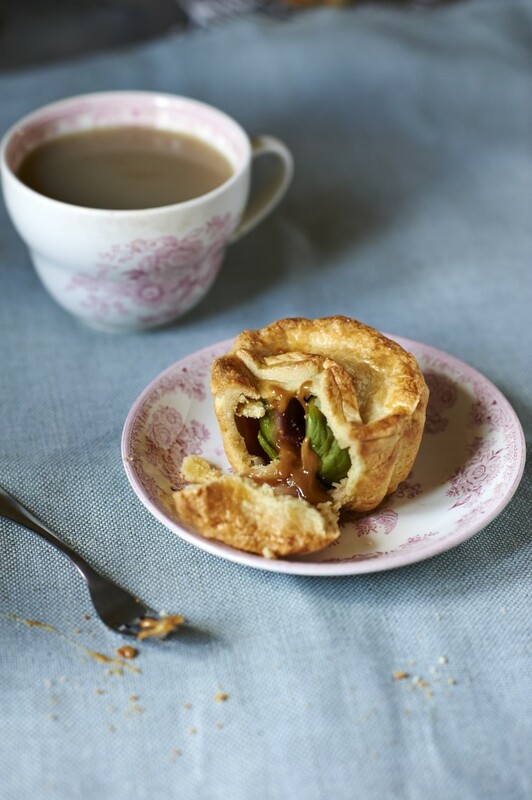 The pastry in this recipe is a bit pernickety but well worth the effort, as it is totally delicious, if a little tricky to work with. Super crumbly texture though, so worth any extra minor frustration. Stick with it. I baked mine some aluminium jelly moulds, which worked well, or you could try pudding moulds or ramekins. The idea is to get something deep enough to fit a fig with not too much wiggle room. 1. Preheat the oven to 200c. Liberally grease the moulds with butter and dust with flour. In a food processor, quickly blitz together the butter, sugar and flour to a breadcrumb-like consistency. Add the egg yolks, one at a time and blitz for a few seconds. Tip out on to a worksurface and bring together with your hands. If the dough is being really stubborn, sprinkle over a small amount of water and try again. Refrigerate for 30 mins. 2. Line the moulds with the dough. Rather than rolling out the dough, you may find it easier to use your fingers to squish bits of dough up along the sides and base of the moulds. Reserve some dough for the pie lids and refrigerate for a further 20 mins. 3. Cut crosses into the figs and pry them open slightly. 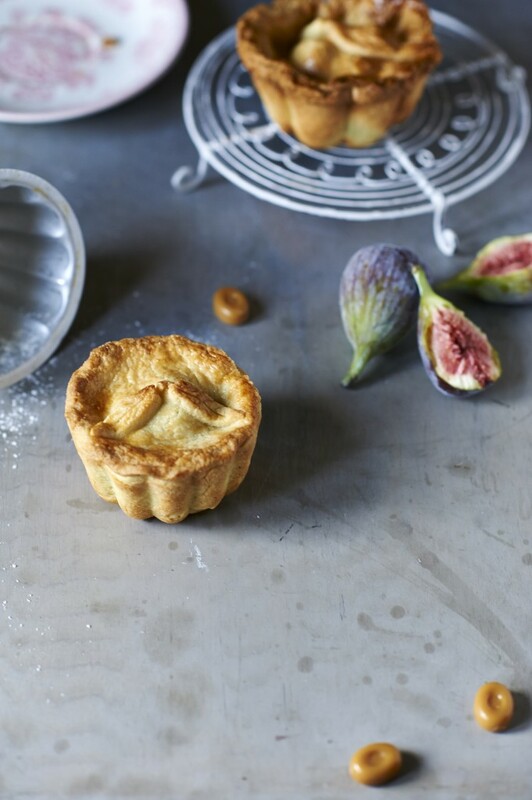 Stuff a caramel into the figs and place one in each pie mould. Whisk the whole egg with a fork until frothy and brush along the edges of the pies. Roll and cut out the reserved dough to top the pie moulds, pinching with your fingers to seal. Use any remaining dough to decorate, then brush with the egg wash.
4. Bake for 25-30 mins until the pastry is cooked through and golden. Allow to cool slightly before tipping out of the moulds – you may need to use a palette knife to help ease them out. Serve still slightly warm with ice cream.